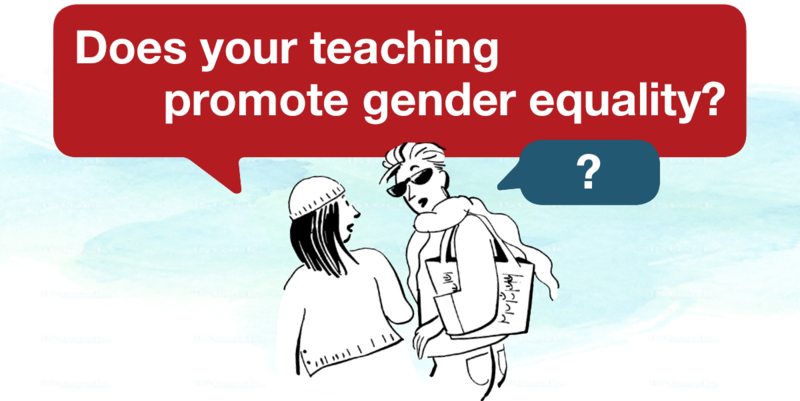 DOES YOUR TEACHING PROMOTE GENDER EQUALITY? TAKE THE TEST! The Conseil du statut de la femme has published an opinion document, L'égalité entre les sexes en milieu scolaire (Gender Equality in the School), on schools and the reproduction of inequalities between the sexes. School, and teachers especially, will always play a central role in the fight against gender inequality. Despite the progress made over the past 40 years, certain elements in school curricula, even in the beliefs and practices of teachers, are still imbued with conceptions that contribute to the perpetuation of gender inequality. So that school continues to be a driver of gender equality, we have created a questionnaire as a way for you to ask yourself about your own beliefs and practices as a teacher. We invite you to answer every question as spontaneously and honestly as possible. The sole objective is to encourage you to reflect on what you could do to continue reducing the inequalities between women and men. As you go through the questionnaire, you will find additional information to enhance your reflections. Just click on "Begin!" to explore. Enjoy the questions! This questionnaire was designed for primary and secondary school teachers. However, if you are interested in the subject of gender inequality in the school, we invite you to complete it.